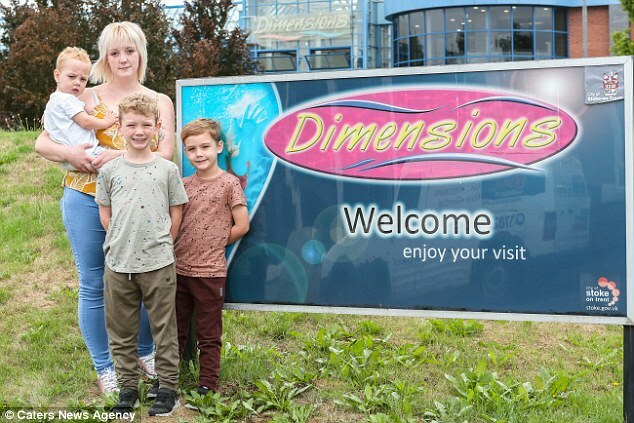 Two mothers who were breastfeeding in a council swimming pool have been left furious after staff asked them to leave the water because it breached their food and drink policy. 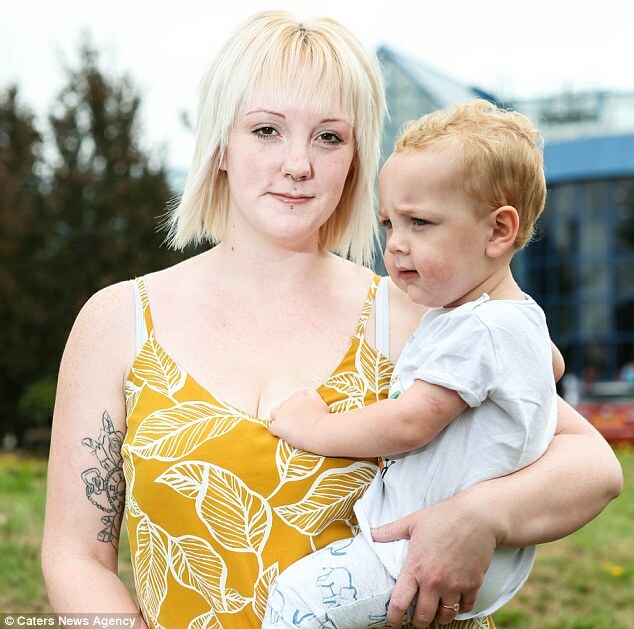 Natalie Forester, 30, has claimed she was asked to leave the pool while taking part in a baby swim session when she breastfed her 18-month-old son Josiah in August. 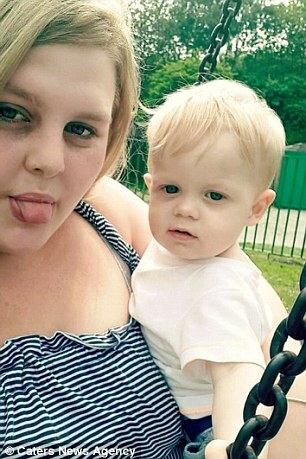 And young mother Chloe Hattersley, 19, was allegedly shouted at and told to leave the same pool at the Dimensions Leisure Centre in Stoke-on-Trent just two months before. Mrs Forester has claimed she was approached by the swimming instructor and told to leave the pool as under the centre's food and drink policy she was not allowed to breastfeed in the water. 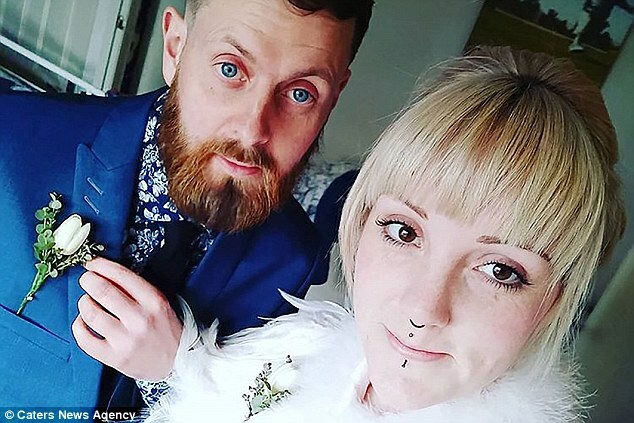 The mother-of-three, from Sneyd Green, Stoke, was left angry and confused at what she claims is an 'outdated' policy and believes that it goes against the Equality Act of 2010 which states, 'a business cannot discriminate against mothers who are breastfeeding a child of any age'. She said: 'I have breastfed all my three children and all of them have used the centre for swimming lessons over the years. 'I know all the staff as I go so often, so I was completely baffled when I was approached and asked to exit the water, I've been breastfeeding for the last eight years and never had any comment made to me before. The pool's breastfeeding policy, which fell under food and beverage rules, stated the centre actively encourages mums to breastfeed at the poolside but says it is 'discouraged' in swimming pools 'for the health and comfort of the child and to avoid the risk of the child regurgitating or vomiting in the pool'. 'Josiah is a real water baby but on this particular day he really wasn't happy and didn't want to join in, I could tell that he was probably hungry and so discreetly took myself away from the group so no one could see. 'When the instructor asked me to leave the water I was so shocked I just did as I was told. I could feel Josiah was getting cold sat on the edge but by the time we had finished the lesson was over. The pool was closed to the public for the baby swimming class which teaches youngster from newborn up to two years of age. After leaving the council-run swimming pool the 30-year-old mother, who ran a local breastfeeding support group for 18 months, asked to see a copy of their breastfeeding policy, which fell under the food and beverages rules. It stated the centre actively encourages mums to breastfeed at the poolside but says it is 'discouraged' in swimming pools 'for the health and comfort of the child and to avoid the risk of the child regurgitating or vomiting in the pool'. Ms Hattersley has argued against the policy, explaining she was breastfeeding in the shallow end and that if staff are worried about germs 'no one' should be using the pool at all. 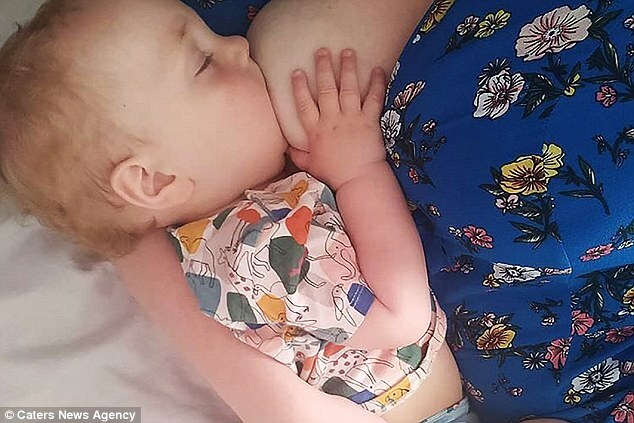 She said: 'I would often sit in the shallow end, where the water is about three inches deep, and breastfeed when he was hungry and to comfort him when he was upset. 'There were around 20 parents and families in the pool at the time and the lifeguard shouted across the pool for me to "stop doing that" and get out of the pool. 'Everyone went silent and they were just all staring at me, I was so embarrassed. 'Normally I would stand my ground because I know my rights but I was just so shocked I got up and left. Ms Hattersley added: 'The claims that the water can go in my babies month are ridiculous as the water is three inches deep and if they are worried about the germs in the water hurting him then no one should be using the pool at all. 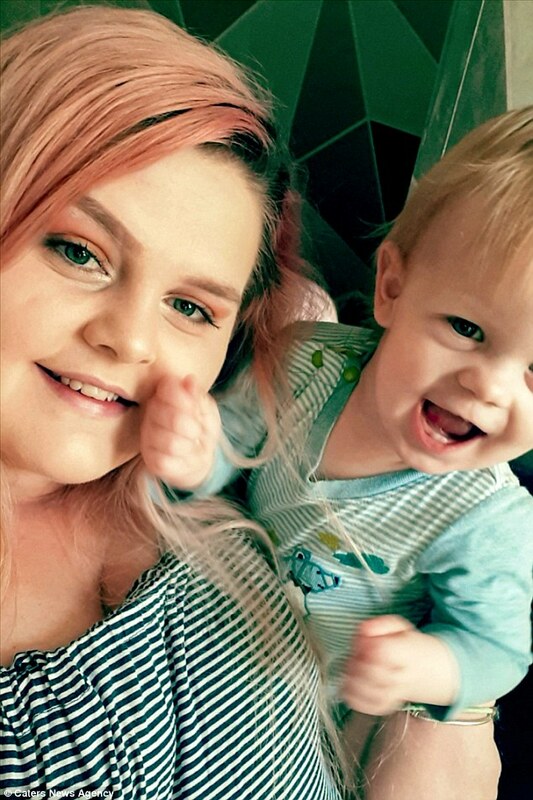 'If they are worried about my milk contaminating the water then they should be aware that mums who are breastfeeding will react to their babies crying and milk can leak into the water anyway. Now Mrs Forester is claiming that the policy is at odds with the Equality Act of 2010 which states a mother is protected to feed her baby in a public place without any age restriction. She said: 'The policy is outdated. No matter what age you are, the water has a calming effect and babies thrive on being fed in the water. 'If they are worried about cross contamination, breast milk is sterile, and swimming pools are full of more harmful bodily fluids that I would not like to mention. 'They told me that it is to stop babies being sick in the water and so I responded by saying that they should not have a cafe alongside the pool. 'When breastfeeding, babies could need feeding at any time, so to encourage breastfeeding and then not allow that to happen means the policy makes no sense. 'If that had happened to a first-time mum if could have completely ruined their confidence. I could tell the instructor felt uncomfortable telling me but she was just following the policy. Councillor Anthony Munday, Stoke-on-Trent City Council cabinet member for greener city, development and leisure, defended the authority's policy. He said: 'We have many areas at our poolside where breastfeeding can take place and actively promote and support this, although we do ask that breastfeeding doesn't happen in the pool. 'We take on board the feedback from mums and will do more to work with them to understand their views and consider if this is something that needs to change for the future.